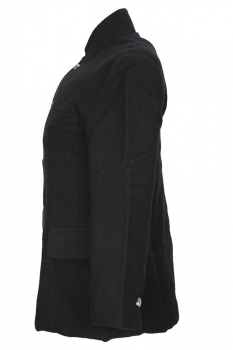 Aleksandr Manamis heavy, textured fabric jacket in linen/wool/mix, 'Short Dart Jacket' with three-quarter length sleeves. 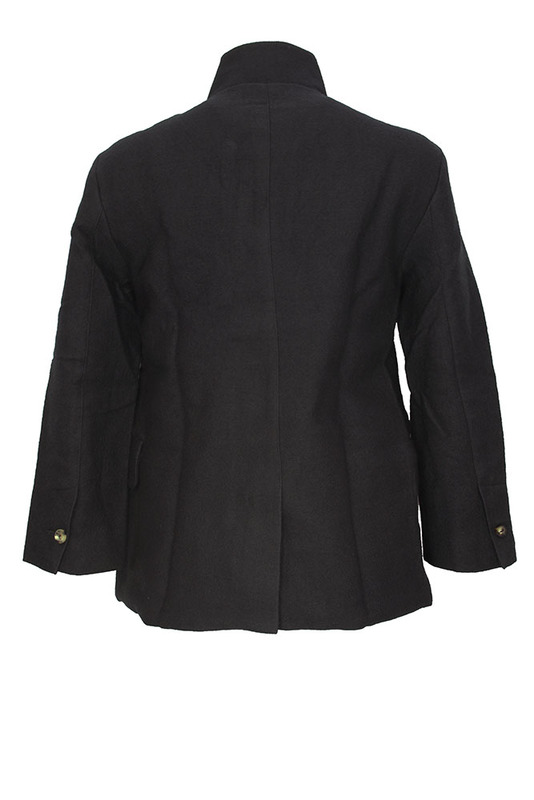 Round collar with notches. 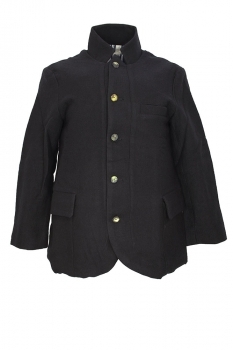 5 button fastening, beautiful bone buttons. Slight cut-away style. Left chest pocket and 2 pockets with flaps. Single button working cuffs. Single central vent at rear. Fully lined in striped cotton and with 2 inside pockets. Again a sublime piece of clothing! !